Fayette Firearms held it initial 2019 business meeting on Jan. 8 at 6:30 p.m. at Fayette County Fish and Game. During the meeting officers were nominated and voted on. 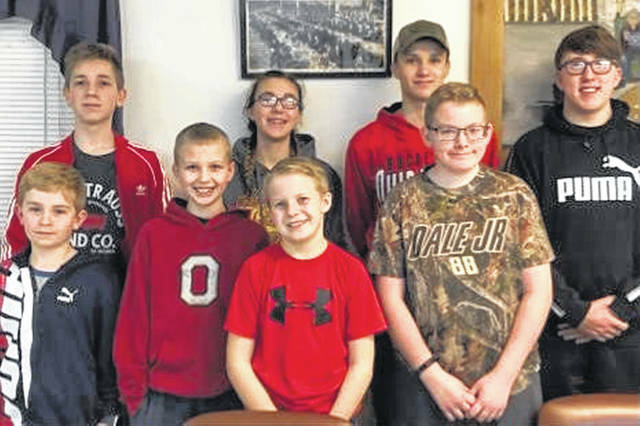 Fayette Firearms 4-H Club held its initial 2019 business meeting on Jan. 8 at 6:30 p.m. at Fayette County Fish and Game. Ten members and six guests attended. The Pledge of Allegiance was led by Hunter Tanner, the 4-H pledge was led by Blake Sollars. Roll call taken by Megan Batson. Advisors reviewed safety rules and the M.A.T.T.E. Muzzle, Action, Trigger, Target, Eyes and Ears acronym. The next meeting will be held on Jan. 22.
https://www.recordherald.com/wp-content/uploads/sites/27/2019/01/web1_FayetteFirearms.jpgFayette Firearms held it initial 2019 business meeting on Jan. 8 at 6:30 p.m. at Fayette County Fish and Game. During the meeting officers were nominated and voted on.